A very nice triple wide, 2551+/- sq. 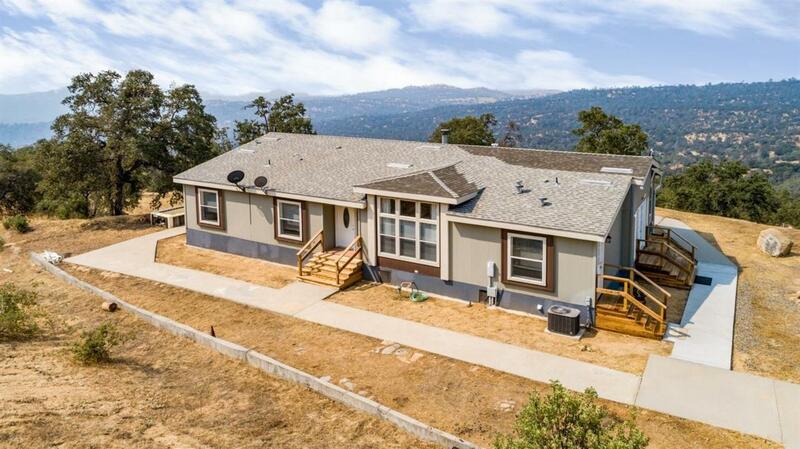 ft. manufactured home on 38+ acres, w/a beautiful view, in the prestigious Flying-O Ranch. The home has a spacious kitchen w/an eating area & walk-in pantry as well as a formal dining room. Living room includes a wood burning fireplace & the laundry room is very lg. w/sink & storage cabinets. Unless already completed, the home will include new carpeting w/your choice of color. A little less than 10 of the 38 acres are already fenceds. Included for all owners, the Flying-O Ranch has a separate 40+/- acre parcel w/an open pole barn w/lg. paddock runs, very lg. arena, round pen & a tack room w/lockers for all residents. Owners also enjoy a club house w/a kitchen, bathroom & shower, including a beautiful pond off the deck. A caretaker resides on the ranch full time who will feed & clean the stall for a minimal monthly fee if you choose to board your horse(s) at the barn. The whole 1400 acres is fenced w/gates at both the north & south entrances. Listing provided courtesy of Debra Sprinkel of Century 21 Ditton Realty.